A physical and mathematical modelling investigation has been carried out to study gas–liquid, two-phase, flow phenomena in a ladle shroud and underscore their associated impact on tundish process performance. To this end, Perspex™ model of a full-scale ladle shroud, operating with a bloom caster, has been fabricated and flow dynamics was studied as a function of argon injection rate, throughput and discharge environment (i.e. open vs. submerged). It is observed that liquid flow regimes in a shroud are critical to the choice of argon injection rate and this has significant bearing on the extent of slag–metal–air (ambient) mixing in tundish. In such context, the role of a tundish physical cover and continuous argon flushing of tundish has also been investigated computationally. 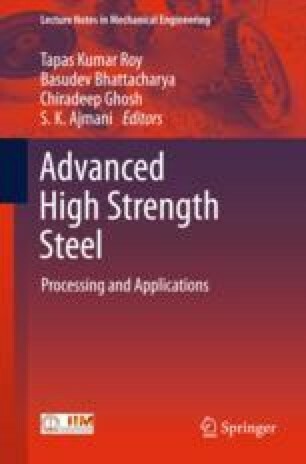 Based on this, a novel design is proposed so that both air ingression and slag–metal interactions in tundish can be contained helping produce clean steel.